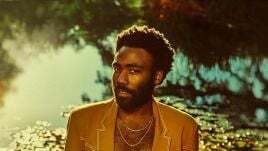 St. Jerome’s Laneway Festival has announced its official set times for 2019, giving festival-goers a few weeks to plan out their music-viewing lives. 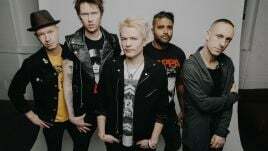 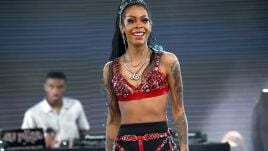 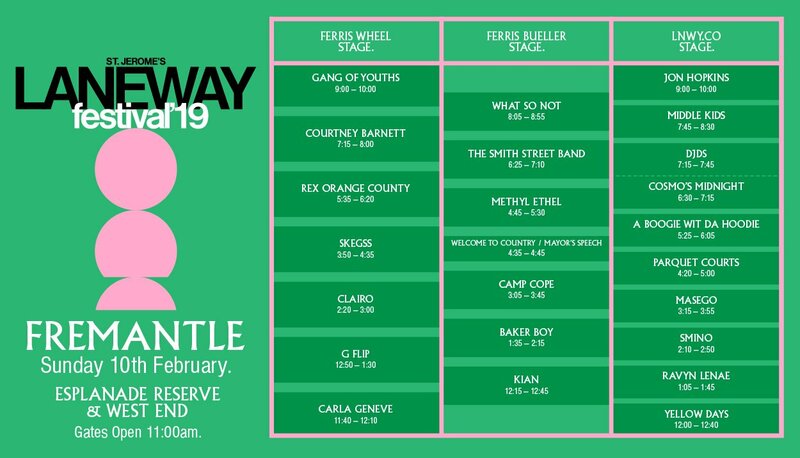 Organisers revealed the set times (below) in each city — Brisbane, Sydney, Adelaide, Melbourne and Fremantle — after adding a stack of ‘Girls Rock!’ acts to their lineup last week. 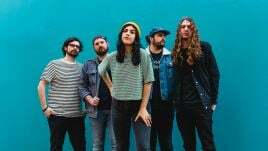 Organisers also announced an official Melbourne afterparty today, set to take place at Max Watt’s after the local leg of Laneway wraps up, and featuring The Chats (Live), Gooch Palms (Live), Parquet Courts (DJ set) and Ruby Fields (DJ set). 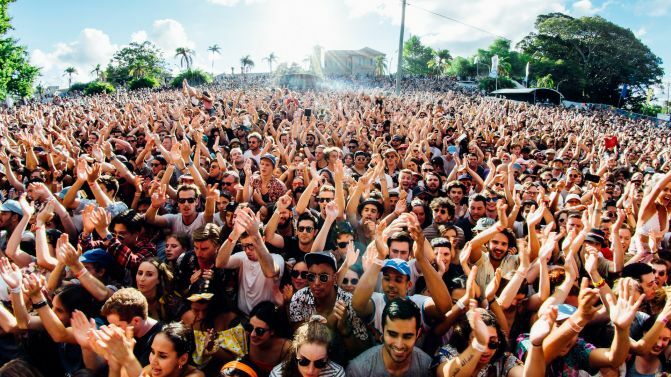 Details of a Sydney afterparty are “coming soon”, organisers say. 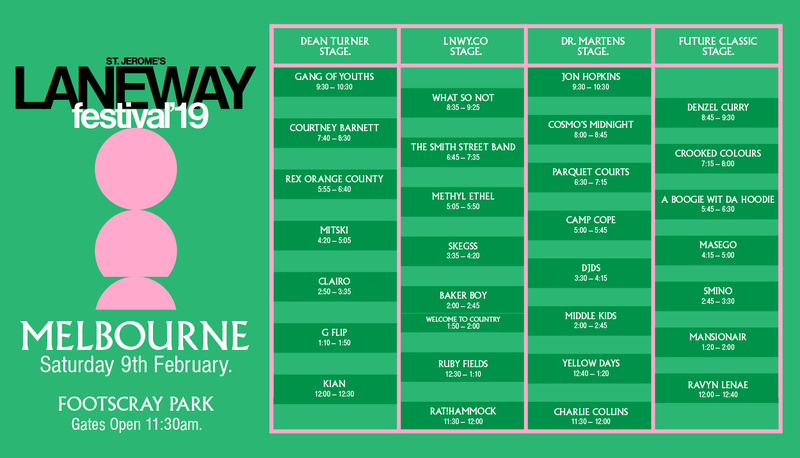 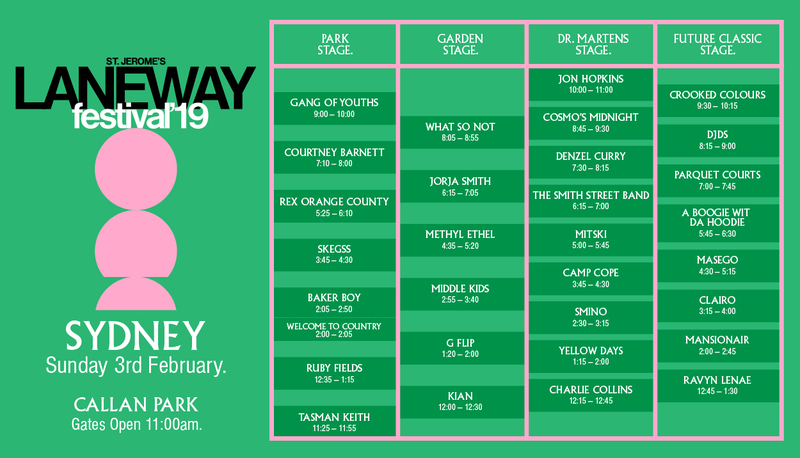 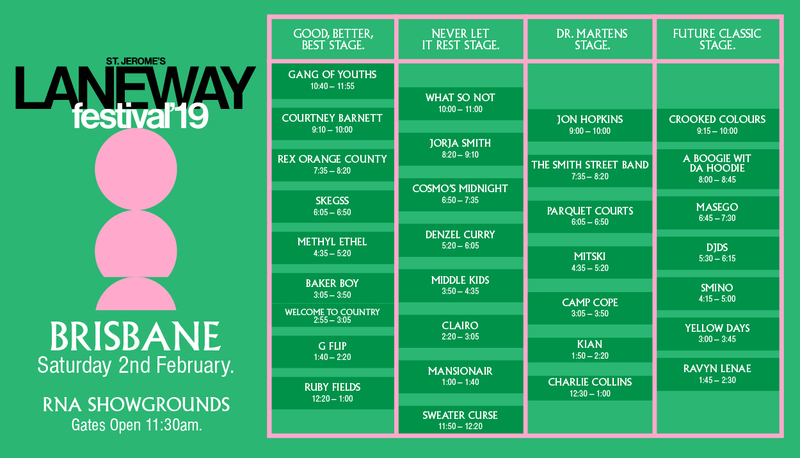 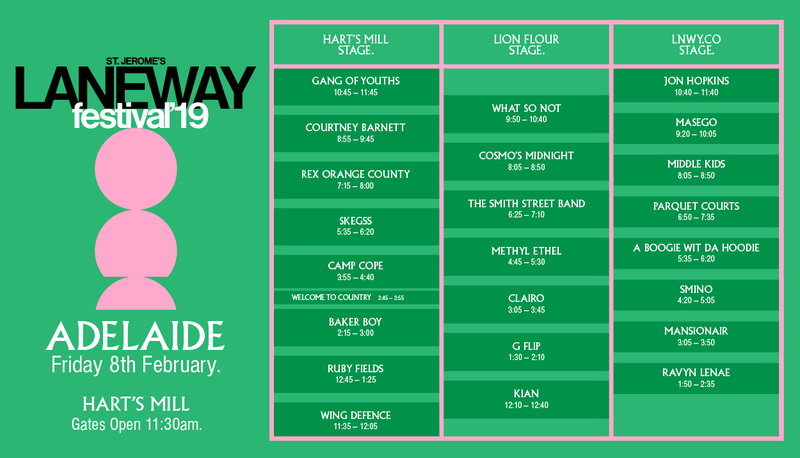 Peep all of the Laneway Festival 2019 set times (and the full lineup) down below, and all of the festival sideshows right here.